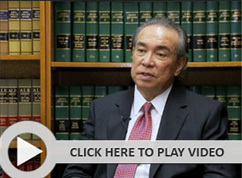 Are you looking for a personal injury attorney or lawyer in Honolulu, Hawaii, HI? The Law Office of James J. Stone has more than 30 years of experience in legal practice focusing on civil litigation primarily in serious personal injury cases. We represent individuals visiting or living in Hawaii who have suffered serious injury or have lost a loved one through a negligent or wrongful act committed by another. 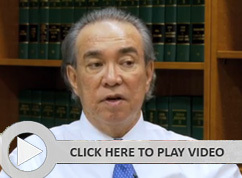 No matter the extent of your injuries, the leading personal injury attorney / lawyer of Honolulu, Hawaii, HI will help! – We take pride in going the extra mile to serve your needs for compensation. We understand the devastating effects that a serious, life-changing injury can bring, not only to the person harmed, but to family and friends as well. You will need our help. With zealous and compassionate representation, the Law Office of James J. Stone focuses on results. We take our responsibility seriously, paying close attention to all factors that can affect the outcome of your case. Personal injury ? We have helped clients recover compensation following accidents and injuries resulting from the negligence of others in auto, motorcycle, bus, truck and pedestrian accidents and in wrongful death, medical malpractice, slip and fall, elder abuse, and nursing home abuse cases. Auto accidents ? Road and vehicular accidents are the basis of the most common personal injury cases. If you have suffered a serious injury due to the reckless or negligent actions of a driver in any kind of vehicle, we are here to help you. Medical malpractice ? Medical errors by healthcare professionals occur in many settings, including hospitals, clinics, doctor?s offices, same-day surgery centers and nursing homes. Such medical errors may involve failure to diagnose or actions that result in catastrophic permanent injury and even death. The personal injury lawyer of Honolulu, Hawaii, HI fights to recover financial compensation for you or your loved one’s injury or loss of life. Wrongful death ? If a member of your family dies because of another’s negligence, you may have a wrongful death case. We investigate the cause and take appropriate action on your behalf. James J. Stone was born and raised in Honolulu and is deeply committed to his clients and the community. 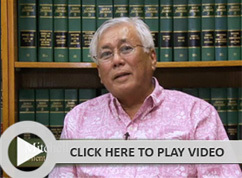 He founded his personal injury litigation firm to fight for residents and visitors throughout Hawaii who have suffered injuries due to the negligence of other people or companies. If you or a loved one has been seriously injured or you have lost a family member to a wrongful death, call the Law Office of the personal injury lawyer of Honolulu, Hawaii, HI, James J. Stone, at 808.223.7810 or contact online to schedule a free consultation. There will be no fee if no recovery in your case. Past case results by our Law Firm do not guarantee future results as to your claim and lawsuit. Results vary depending upon the facts and circumstances as to each claim and lawsuit.